This video takes you through the logic and structure of the ortho and para directing activating groups. 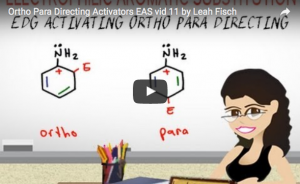 This is Video 11 in the Electrophilic Aromatic Substitution Video Series. Click HERE for the entire series.